New data from An Garda Síochána on arrests from drink driving indicates that between January and April this year there was an increase of 18 per cent in the number of arrests for driving under the influence (DUI ), compared with the same period in 2016. Figures also show that April 2017 saw more arrests for drink driving than in any single month in the past five years. The RSA’s International Road Safety Conference, which is focusing on the crisis of alcohol on our roads, features presentations from leading international experts on road safety and enforcement from Australia, USA, Sweden, Spain, Brussels, Northern Ireland, and the Republic of Ireland. Provisional research from the RSA to be unveiled at the conference will show that alcohol was present in 30 per cent of road traffic collision fatalities in 2013 and 2014. The National Drug-related Deaths Index coroner’s data was collected by the Health Research Board for this period. The data also shows that 55 per cent of all fatalities with a positive toxicology for alcohol were male driver/motorcyclist deaths. 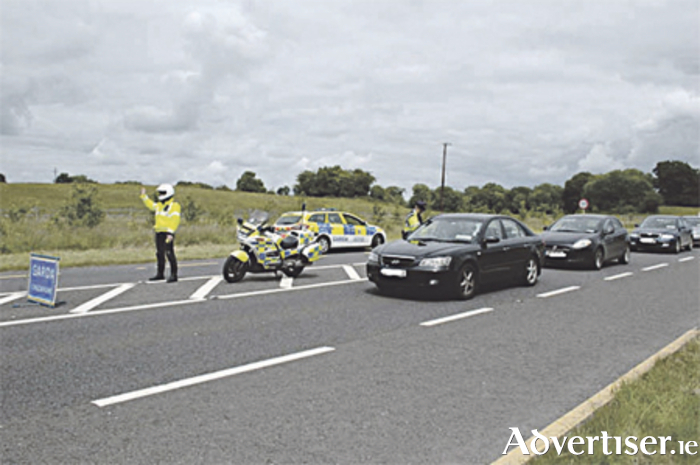 Up to the middle of last week, and before the bank holiday weekend just past, a total of 63 people had died on the roads, a reduction of 13 up to the same period last year. Findings of the Garda data included: 33 per cent of all fatalities with a positive toxicology for alcohol took place in either Galway (10 per cent ), Cork (11 per cent ) or Dublin (12 per cent ); 57 per cent of all fatalities with a positive toxicology for alcohol took place from 8pm until 4am; alcohol consumption in conjunction with drug use is prevalent in road traffic crashes, with 44 per cent of fatalities found to have alcohol plus at least one other drug present. The statistics also reveal that 65 per cent of fatalities with a positive toxicology for alcohol took place on either Saturday (17 per cent ), Sunday (23 per cent ), or Monday (24 per cent ). Some 33 per cent of fatalities with a positive toxicology for alcohol took place during the summer months – June (13 per cent ), July (10 per cent ), and August (10 per cent ).